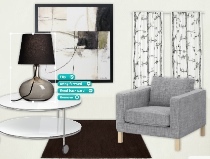 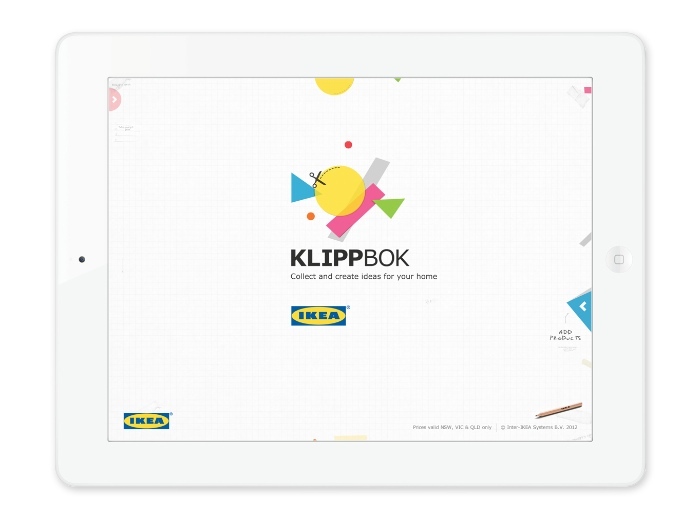 Swedish for “scrapbook”, KLIPPBOK is IKEA’s new inspirational iPad app. 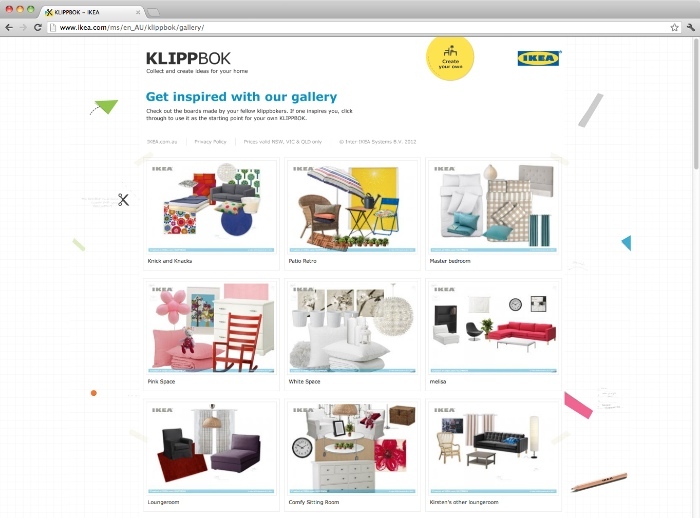 The first of its kind in Australia (and in the world of IKEA), it gives DIY decorators a space to mix’n’match IKEA products to create ideas for their home. 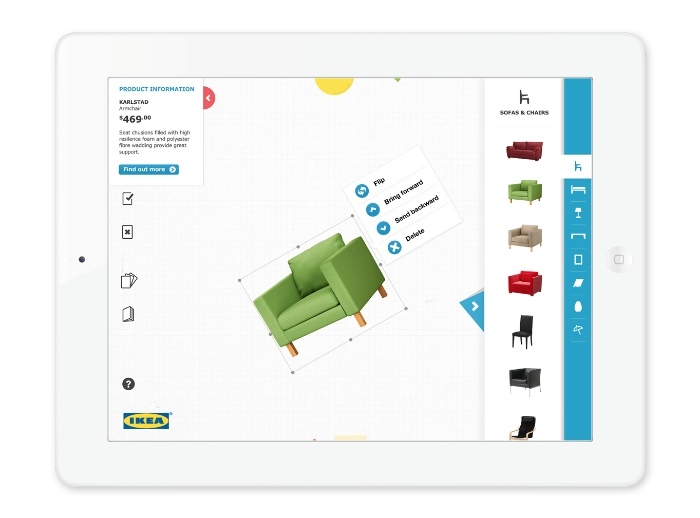 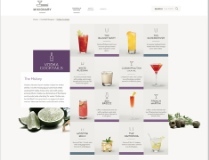 With easy-to-use design functionality, users can create collages, swatchbooks, roomsets and more. 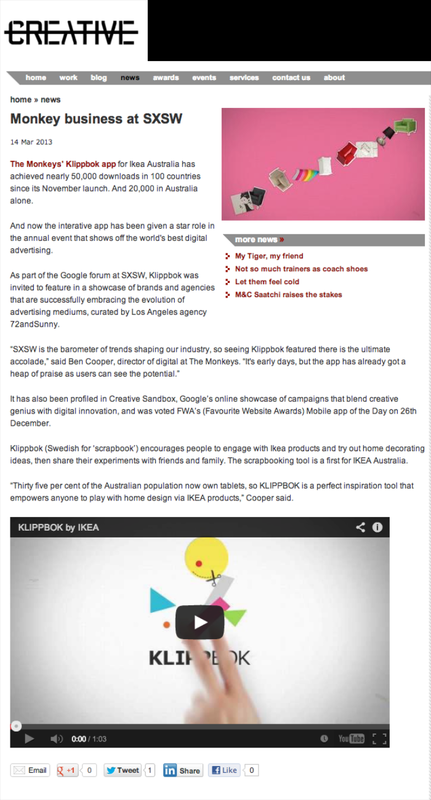 KLIPPBOK is whatever you make of it.